We have a great last minute deal in the Geeky Gadgets Deals store today, you can save 82% off the regular price. The UltraBright 500-Lumen Tactical Military Flashlight: 2-Pack is available for just $17.99 in our deals store. Accidents happen, and they tend not to take convenience into consideration. 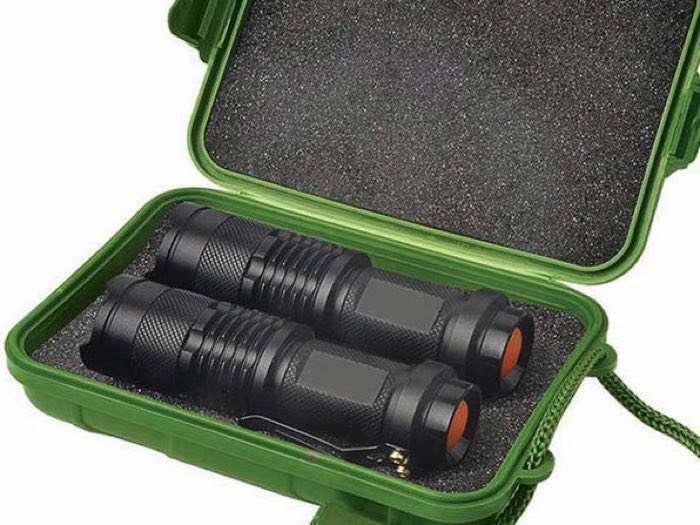 When your car breaks down at night or you find yourself in the dark, you’re going to be thrilled to have these military-grade flashlights by your side. (Or if you’re just an adventure seeker, you’ll love having these on the trail!) Powered with 500 lumens and an adjustable zoom that provides up to one mile of range, these elite flashlights will help you find your way through any dark place. You can find out more details about the UltraBright 500-Lumen Tactical Military Flashlight: 2-Pack over at our deals store at the link below.